David’s 9th grade has been finished for a while. Sort of. There are a couple of loose ends that I feel he needs to tie up. And I have a few revisions to make on the transcript. I’m sure that’s a work in progress anyway. As I reflect on our first ever year of high school here, I think we’ve definitely learned a lot about how to do things (or maybe more how NOT to do things), and we have some new ideas to try. One thing I’ve learned is that high school makes me a little bit nuts with deadlines. And some of that is good. But some of my hyper-stressing could be relaxed. I need to put more of the responsibility on David and less on me. He needs clear expectations at the beginning and some accountability during the year, but I’m not going to be continually reminding and pestering him. That’s the plan anyway. We’ve been talking about future education and career plans with David and at this point he’s leaning towards an advanced degree in science. One particular area of interest is Biophysics. So we’re trying to make sure his math and science background is solid. This is both so he can get a better idea if he wants to pursue further study and so that he can hopefully get college credit for some of his high school courses. Teaching Textbooks Precalculus – This is a first for us. I’ve heard mixed reviews of Teaching Textbooks in general. David is using this only because it’s one of the outside classes he is taking and that is the chosen text. The class meets twice per week for 1 hour, so it still requires a lot of independent study, but there is a teacher to assist. Plus he’s going to grade the homework and the tests. I am really anxious to see how David does in a math classroom. He’s not been the best at showing his work. He also balks at large problem sets. But since he’s strongly considering a math or science career, we didn’t want his first math class to be in college. Hill Petrucci General Chemistry – After using Apologia science for the last 3 years, we’re changing this year. There are a couple of reasons for the change. First, we want a book that will serve as an AP Level Chemistry course. 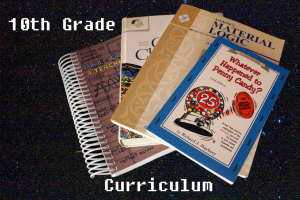 Apologia is designed to do Chemistry for a whole school year, then advanced Chemistry in another school year. But the bigger reason we’re not using Apologia is that my husband taught high school chemistry for over a decade and we already own a lot of chemistry textbooks. (Seriously, I think we have 6 different chemistry texts.) It seemed really silly to purchase another one just because it was the science series we had been using. Honestly, I’m a little nervous about how I’m going to teach this. Hopefully I am not, but will come up with a suggested schedule and have David study independently with help from his dad when needed. I’m hoping anyway. This year is Government and Economics. 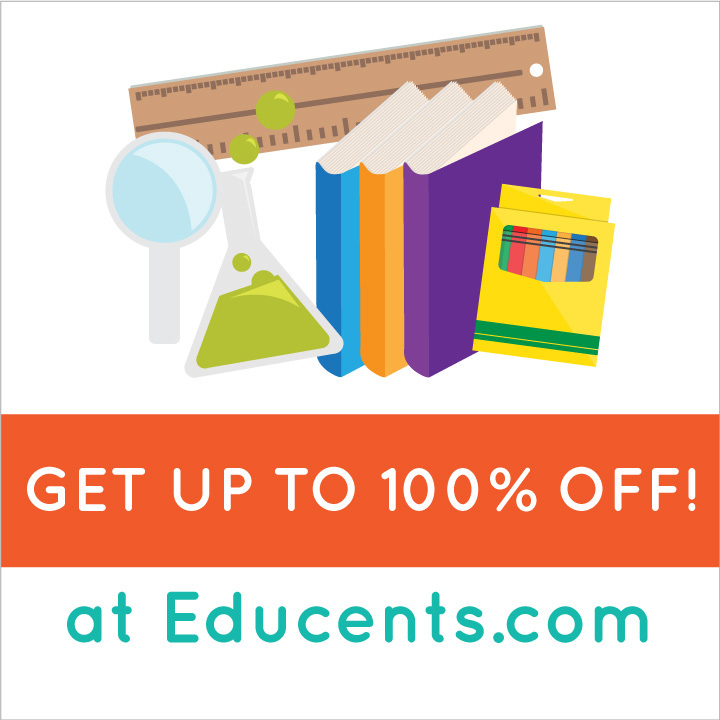 We’ll be starting with economics using Economics for Everybody from Compass Classroom. (Read my review here.) We’re going to pair that with Whatever Happened to Penny Candy for a fun introductory economics course. I am undecided on what to use for the government portion, but I have time. Filmmaking – He will be completing Filmmaking from the First Directors…hopefully. This is a fabulous course, but very challenging. It is especially challenging for him to come up with ideas for films, especially with our very limited pool of actors. Logic – He has started Material Logic from Memoria Press and will complete that this fall. This completes my upcoming curriculum posts. The rest of the series is linked below. This post is linked to the Lets Homeschool High School Blog Hop and the Not Back to Homeschool Blog Hop. Last week I got a lot done on my Decluttering Challenge. That was partly because my big kids were at camp. I don’t know why, but I seemed to have extra time on my hands. Here’s a cute video of me talking to Andrew about David and Anna coming home. Now that my two oldest are home, I’ve been trying to dig out of the giant mountain of laundry that they brought home. I’m starting to work on school schedules, and today I’ve been revamping our chore system. More to come on that! Next up in my curriculum choice posts is Anna. She is my 13 year old daughter, who loves crafts, reading (especially historical fiction), violin, and running. This year Anna will be completing the third season of Analytical Grammar. That covers English Language Usage. She will be continuing her lessons in IEW Student Writing Intensive Continuation course for writing. In addition, she will be taking her first ever outside class in literature. Anna has done very well with Latin courses from Memoria Press. This year she will be starting Fourth Form. This is still not available. It is supposed to be soon, so hopefully it will be ready before school starts. Anna completed Algebra I using No-Nonsense Algebra. It was an excellent choice for her with good instruction and enough practice without too much. The plan for next year is Jacob’s Geometry. I’m a little nervous about this because it’s not really designed for independent study. I will have to keep a close eye on this to see how it goes. Anna studied The Art of Argument this past year. This year, she’ll be continuing her logic study with Traditional Logic I. (She may also complete level 2. There is no reason to rush so we’ll see what the natural pace is for her on these lessons. This year she studied modern history with TruthQuest – Age of Revolution III. That resource is rich with topics and books, so she didn’t even come close to finishing it. She’ll be continuing with it with the focus on 20th century this year. She’s not really a science lover, but we still want her to have a fairly rigorous study of science. She completed General Science by Apologia this year and will be continuing in the series with Physical Science. Last year we bought the Knowledge Quest lapbook to accompany the text. Although there were some good things about it, she found that she would rather just answer the questions than lapbook about them. Also there were enough mistakes and poorly designed booklets that it was annoying to her. I don’t like unnecessary interruptions. 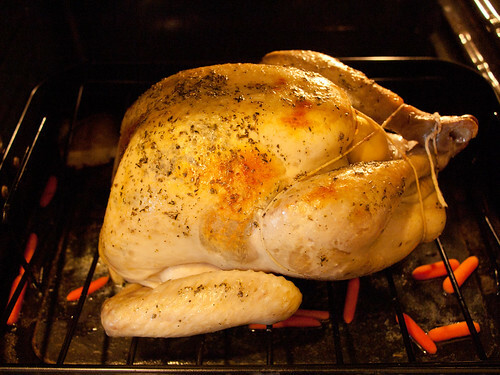 I found a neat idea on Pinterest, that will take take of some of the “What’s for dinner?” problem. I waited for a sale on paper at Michael’s and bought 3 sheets of 12×12 paper for $0.20 each. Obviously, I decided not to use 7 different patterns. I actually decided on 1 pattern and have an extra sheet of paper that I did not use that I will probably give to my daughter who does scrapbook. 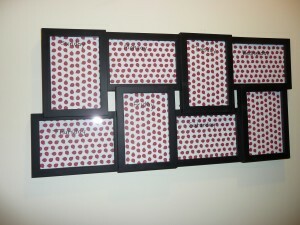 The openings on my frame are each 4X6 inches, so I cut 6 pieces out of 1 sheet with no waste. I am not crazy about the lettering on the original project, so I decided to write with black marker on my paper. But the names of the days aren’t nearly as visible as I had hoped, so I might redo it. I also decided to make mine horizontal because I think that will be easier to write on and it fit the space better. 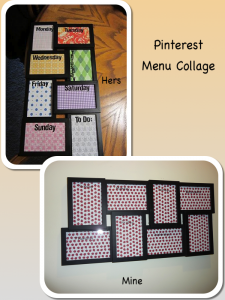 I’m hoping that having my menu board up will help me as I start to plan monthly menus again. This is a habit that I let slide a year or more ago, and we have really noticed an increase in our food spending. I have been making more frequent trips to the store and while I’m there I go ahead and pick up x, y, and z. Hopefully being more disciplined to plan menus and grocery shop less frequently will help us to cut our food spending back again. This is my 2nd completed Pinterest project. (Not including recipes.) Have you seen my fireplace makeover? Do you use Pinterest? Be sure to follow me! 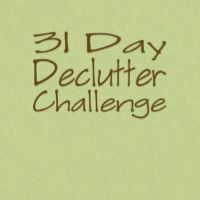 My friend Crazy Mom at Ramblings from the Crazy House is having a 40 days to declutter challenge. I’ve decided to join in. Since I decided several days ago, I’m going to count the decluttering I’ve already done. Here is my list of 40 things make that 31 32 things to clean out with those already done, marked off. 4. Baking dishes, mixing bowls, and small appliance cabinets. 30. Garage around ping pong table. For a curriculum junkie like me, it’s one of my favorites. All the new curriculum catalogs arrive! I can look and think and imagine what our homeschool is going to look like next year. I can make a giant list of everything I would love to have for each of my children. And then I have to make DECISIONS. Because let’s face it. There is no way that I can do all the wonderful things and use all the amazing curriculum that I find. There are only so many hours in a day. There’s only 1 of me and 5 of them. I have to be realistic. That’s the not so fun part. But it is more fun than seeing an expensive curriculum purchase sitting on the shelf that you failed to use. Then you feel guilty. But please don’t let yourself wallow in guilt! Here are some simple tips to help you avoid unused curriculum guilt in the future. 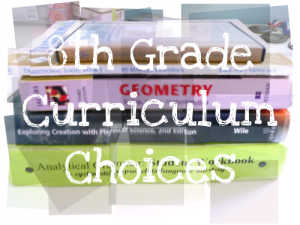 Here are the 4 steps I used to determine curriculum purchases. Come back for how to complete each of these steps. 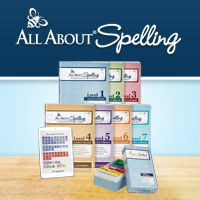 Today’s topic for the Back to Homeschool Blog Hop is planning. 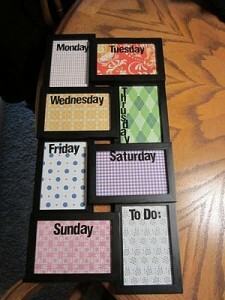 I love to plan. I love to organize things. Planning and organizing our homeschool year is no exception. I think that many homeschoolers have fallen into an over-planning trap. I know because I’ve lived it. I’ve gone through each of the children’s books and typed the daily assignment into a planning software. It does at least have the capability to iterate so I didn’t type every single lesson number. But really, what is the point of my recording what lesson to do on which day when it’s really not that complicated? Just do the next lesson. An aside here – What in the world does fly by the seat of your pants really mean? Where did that expression come from? 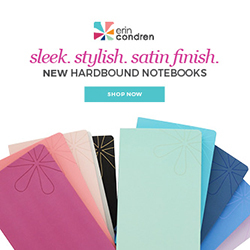 I am most certainly someone who likes to have everything planned out ahead of time. But if I could have back the hours I’ve wasted on plans that I’ve never actually used, well, let’s just say I could use the extra time now. What type of planning do I recommend? That depends on what type of resources you use. If you design your own unit studies, then you’ve definitely got to plan those. If you like to combine resources and mesh them perfectly together then that will take some planning time too. But for most materials here’s what I recommend. 1. Sit down with the texts/teacher guides/workbooks, etc. 2. 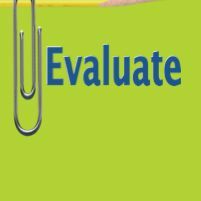 Determine if these are resources that you would like to complete in one school year. 3. Count how many chapters or lessons there are. 4. Divide those by 180 days or 36 weeks and determine the rate that the material needs to be covered to make it through the book. 6. Continue with other subjects. 7. If you don’t need/want to finish a resource in one year, just look and see what looks like a reasonable amount to cover per week and record that. 8. Record what students actually do each day. That gives you an accurate record. It’s so much easier than going back and rescheduling everything that you planned ahead. Be sure to take note of supply lists at the beginning of the year. It’s very helpful to either purchase the science kits or gather supplies ahead of time and put in one location. It’s really frustrating to find out it’s experiment day and you don’t have the materials. Thanks for visiting Sunrise to Sunset! 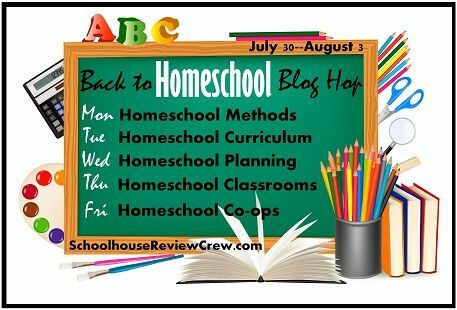 Be sure to follow my blog and then go and visit some of the other great blogs participating in the Back to Homeschool Blog Hop. It’s the last week for the Virtual Curriculum Fair. I’ve not participated as much I wanted to, but life kind of has a way of getting in the way. Appropriately enough, the topic this week is “Nuts and Bolts”. Since I love to organize and plan, I don’t think it’s a topic I can skip! A couple of years ago I wrote this article on Teaching Multiple Ages. My basic point was that when teaching multiple students you have to find a balance between subjects that you teach to multiple students at once, subjects that your student works on independently, and subjects that require one-on-one instruction. As the number of children increases, the amount of time that you can spend on individualized instruction decreases. There are only so many hours in the day. I’ve found that as my children have grown, I’ve become much more of a facilitator than a teacher. I am still providing assignment sheets for my older children (13 and 11), but they have begun to rearrange their assignments to balance their workload. We’re using more video instruction too. I hope next year to enroll my oldest in an on-line class.WIth my older children working more on their own, I have more time to spend teaching my third and fourth children. I have to spend one-on-one time with my middle son (9) because of various learning issues that he has. I need to spend more one-on-one time with younger daughter (5). Thankfully she likes working on the computer. She also receives some help from her oldest brother and sister. Is your homeschool different than you originally pictured it? How? 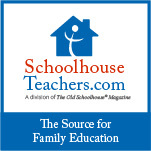 Be sure to visit these other great blogs to see ideas for organizing your homeschool and your home.